The general right-of-center media has had a field day with Mike Bloomberg’s missteps with his MAIG bus tour. It seems like there are stories about it every single day since his people read off the Boston bomber as a gun violence victim whose life they want to protect. Now the Washington Examiner is looking over MAIG’s list and found that just a quick review shows that about 1 in 12 names on their list of victims are actually criminals themselves who were killed in the progress of committing a crime by police or armed citizens in acts of self-defense. MAIG is having to walk back from the list and is now trying to say that the story isn’t in the circumstances surrounding the names, but the numbers. That’s interesting since the entire tour and the bus itself are branded as the “No More Names” tour, not the “No More Numbers” tour. 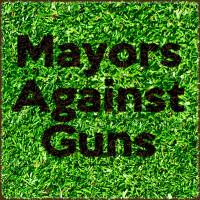 Mayors Against Illegal Guns doesn’t even defend their criminal mayors so publicly, yet they’ll stand by and say that the number of criminals killed in the midst of violent crimes matter. At least their criminal mayor members are typically non-violent criminals. At this point their best option would be to turn around and go home, quietly letting the whole concept be forgotten. They’ve been completely thrown off message and the counter-protests are going to outnumber their supporters and practically every stop. Now, if we could only get our people to quit showing up at their events and misbehaving as wells as getting tased after grabbing the cops. Amazing how a single ambiguous event is cast as constantly occurring. Amazing that with all the cameras around and the media circus some jackwagon decides to feed the beast and do, not one, but two stupid things while thinking he’s furthering some goal. Had that moron not have showed up that day, the story would have been about the MAIGs reading of the names of cop killers and terrorists instead of some tard screaming down speakers and putting his hand on the cops before getting tased. Or, better yet the jackwagon could have played it like the OC guys who showed up and said they’re against illegal guns and gun violence. The media and the MAIGs were baffled that they could not bait these guys into doing or saying something stupid – WIN! I love it! The best part is imagining Bloomberg seething. Haha. Not only that but he’s been using more of NYC’s tax payer funded resources for MAIG than was previously thought. Even their homepage is hosted on city servers. Yeah, I’ve seen that kind of stuff making the rounds. I guess I just don’t consider it newsworthy since the gun blogosphere has known for years that MAIG is partially run out of the NYC offices in a somewhat official capacity. Not to go off on a tangent, but it is like the way almost no one in the general public cared about Fast and Furious. This stuff cuts both ways. Their camp only reads and reports bad stuff about “our” guys, never their own; and our camp only reads and reports bad stuff about their guys, never our own. But both camps only hear what they want to, and dismiss any news that doesn’t favor them. Then, only a fraction of that crosses over to getting the attention of the general population. But I’ve seen a lot more “self-criticism” from the pro-2A side than the reverse. 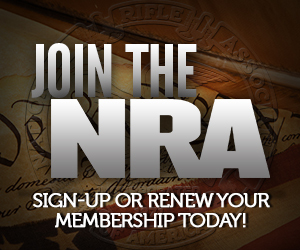 AKA Dave, who is the ONLY 2A SUPPORTER WHO KNOWS HOW TO SUPPORT THE 2A!!! or something. Because everyone else does it WRONG, according to him. But, I do think this is a slightly more broad-minded RKBA outlet than most such blogs I have seen — and chosen never to participate in. It’s not just a one time slip up. They’re LOCALIZING their lists to the places they attend, and they’re including local “victims” who were committing crimes.